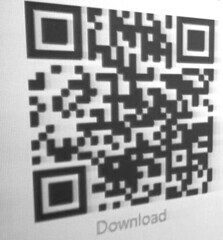 QR Code snapped by @topgold during a @saorog session. THANKS TO STEPHEN HOWELL'S coding, I had my personal digital portfolio dynamically updating on my Lumia handset. Stephen used Microsoft AppStudio tools to complete the job in seven minutes. This quick work pulled six different data sources from my online collections. The visual design process was part drag and drop and part hard coding. If you have ever called an API or devised REST services, you have the skills to produce a compelling digital dashboard. The rough draft lf mine downloads from the QR code in this blog post. Get an Azure Pass as an educator. Set up Company Info on my handset to facilitate special downloads. Set up a MSDN Faculty Connection. Poke around with App Studio in my browser.